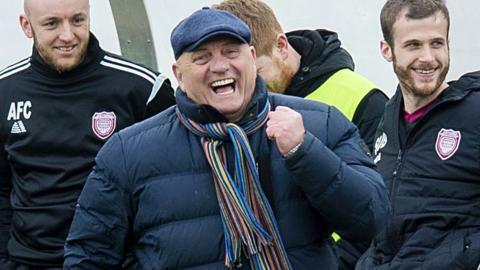 Montrose beat Brechin to move level on points with fourth-placed East Fife in Scottish League One as Dumbarton and Airdrie draw. Raith Rovers hit two late goals to win 2-1 at East Fife and move to within 10 points of Scottish League One leaders Arbroath. BBC commentator Rob Maclean gives his take on another weekend of Scottish football, including Stephen O'Donnell's rise to prominence. BBC Scotland gives a rundown of the arrivals and departures during January 2018 in Scottish League Two. BBC Scotland gives a rundown of the arrivals and departures during summer 2017 in Scottish League Two. BBC Scotland gives a rundown of the arrivals and departures during January 2016 in Scottish League Two. BBC Scotland gives a rundown of the arrivals and departures during summer 2015 in Scottish League Two.